At the start of the week, the International Monetary Fund (IMF) cut its forecast for world economic growth in 2019 on the back of heightened trade tensions and rising US interest rates, with its managing director Christine Lagarde saying that “the world economy is growing more slowly than expected, and risks are rising”. In response to this backdrop, IMF’s chief economist, Gita Gopinath, appeared even more aggressive with her assessment, pressuring policymakers to act immediately to ”reverse headwinds in order to grow and prepare for the next downturn”. On Monday, IMF said that it expects global growth of 3.5% in 2019, down from 3.7% in 2018, and below its 2019 October forecast of 3.7%. 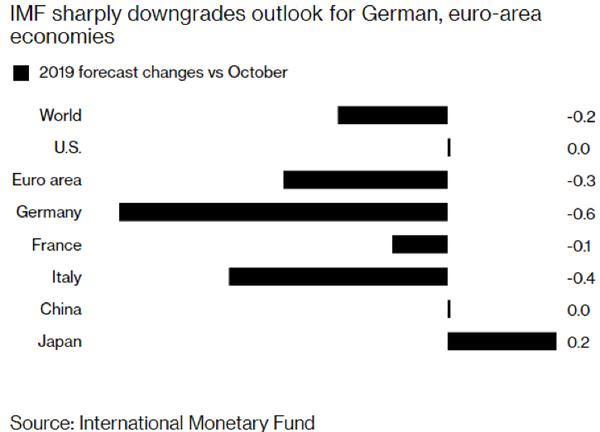 Some of the other commentary was disturbing, with growth in emerging market countries forecast to be slower than expected; IMF also flagged lower growth in countries exposed to the Euro currency. Based on IMF’s projections, the 19 countries that use the Euro currency are expected to deliver growth of 1.6%, down from the previous estimate of 1.8%, roughly half that of the US. However, arguably just as worrying was news that China’s growth had slowed from 6.9% in 2017 to a 30 year low of 6.6% in 2018. IMF’s projections support downgrades by other global organisations, including the World Bank and the Organisation for Economic Cooperation and Development (OECD). 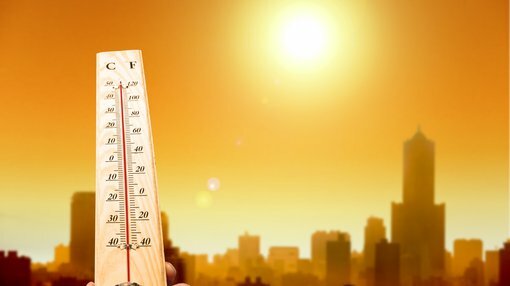 As this news unfolded, Finfeed looked to identify some stocks which could have the capacity to weather the storm and survive, if not prosper throughout 2019. Central to our strategy was identifying ten stocks trading on comparatively low fiscal 2019 PE multiples (see the second table below) as these are companies where nominal growth is already factored into the share price. These characteristics can often be found in smaller stocks that fly under the radar — and on this note, we focused on companies with a market capitalisation of less than $100 million. All data is based on that applicable as at close of business on Monday, January 21, 2018. The other benchmark we used revolved around the potential to surprise on the upside, with consensus forecasts indicating that the implied earnings per share growth reflected in fiscal 2019 consensus forecasts well exceeded the forward PE multiples which were capped at 11, with the average being approximately eight. In clinical terms, a forward PE of eight indicates that the company should be generating earnings per share growth in the vicinity of 8% per year. Based on these metrics, should a company deliver earnings per share growth in excess of 8%, it should theoretically undergo what is referred to as a ‘PE-based rerating’, whereby a higher PE multiple is applied to the stock’s earnings per share, implying a higher share price. By taking this approach, we feel that we have selected stocks that have the basis for an upward share price movement to account for better than expected earnings and/or earnings per share growth. Taking these factors into account, we looked to identify 10 stocks with projected fiscal 2019 earnings per share growth forecasts of better than 20%. Here are the first five. As you can see in the table above (column 6), one of the companies (XRF Scientific Ltd) is only forecast to deliver 7.8% growth in fiscal 2019, but it is more of a 2020 story with consensus forecasts pointing to earnings per share growth of 31.3%. The last point is important when considering smaller stocks, as they are often at the early stages of growing off a relatively low base. In these circumstances, upfront overheads and the delayed impact of the execution of operational efficiencies and the integration of new operations can place downward pressure on margins, negatively affecting the bottom line. Where this is the case, top line growth often translates into improved earnings in the following financial year. As a guide, the average fiscal 2018 revenue growth generated by the stocks under review exceeded 10%, with some as high as 30%. Acrow has been active in the Australian construction industry since 1950, and its heritage dates back to 1936 when it first launched in the United Kingdom. The company generates a significant proportion of its income from the hiring of formwork and scaffolding systems to large construction and civil infrastructure providers across Australia, operating a network of formwork and scaffolding branches in six states and employing approximately 150 people. The business services a diversified customer base of approximately 1,100 customers. 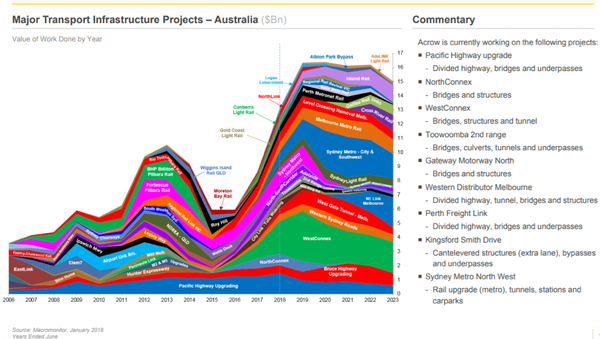 Management has identified a number of near-term growth opportunities — most particularly through the investment in capital equipment to take advantage of a range of opportunities in the growing east coast civil infrastructure market, especially in New South Wales and Victoria, where the business is still underrepresented. Acrow’s market positioning is important to understand as it generates a substantial amount of income from civil and commercial work rather than the residential sector which has come under a cloud recently. Fleshing this out, management recently highlighted that its South Australian and Western Australian businesses are performing well, underlining the benefits of a business which is diversified nationally, providing defensive qualities. Acrow experienced strong growth in the six months to June 30, 2018 in terms of total hire revenue and new contracts won, a reliable lead indicator in relation to future revenues. The following snapshot of the company’s financial metrics demonstrates its resilience, despite cyclical industry trends, while also highlighting its robust growth profile. With significant activity in the civil infrastructure sector planned over the next five years (see below), Acrow should have numerous opportunities to grow its workbook. Apiam Animal Health is a vertically integrated animal health business, providing a range of products and services to production and domestic animals. The company provides veterinary services, ancillary services, genetics, wholesale and retail of related products, together with technical services related to food-chain security. The farming industry has experienced its challenges due to drought conditions. However, management recently highlighted that its robust business model, which provides significant diversification, has assisted the group in responding to industry volatility that can occur in regional and rural operating regions. The expansion of product distribution, entry into international markets and growth in the companion animal market are some of the initiatives that will deliver growth in fiscal 2019 — management expects that earnings momentum from these avenues will offset the challenges posed by dry conditions in certain regional markets. A notable feature in fiscal 2018 was a significant uplift in EBITDA margins which, combined with robust revenue growth, resulted in underlying earnings, increasing 17.2% from $8.3 million in fiscal 2017 to $9.8 million in fiscal 2018. Full-year contributions from the acquisition of three businesses in fiscal 2018, comprising five clinics, will provide earnings momentum in 2019. While consensus forecasts point to 21.4% earnings per share growth in fiscal 2019, analysts at Bell Potter are a little more optimistic with their projections, implying year-on-year growth of 30.1%. However, even based on consensus forecasts, the company appears to represent excellent value, trading on a forward PE multiple of approximately 8.3 with a dividend also on offer. Management noted that the business is maintaining high cash conversion with improving return on capital, providing it with the opportunity to undertake capital management initiatives, or more likely take advantage of acquisition opportunities in an industry that is still undergoing consolidation. CML Group provides businesses with financial backing to assist in short-term cash flow problems. As a backdrop, the banking Royal Commission has reduced competition in CML’s core markets, providing opportunities for expansion. The company provides an advance payment of up to 80% of a client’s invoice to help their business overcome the cash pressure of delivering goods or services in advance of payment from their customer, which generally ranges between 30 and 60 days. This is a flexible line of credit that is utilised in line with sales volume. In some cases, the group will also provide an additional advance to a client (above the usual 80%) for an additional fee and when there is adequate security from the client to cover the position. The business model has proven popular with the business sector and successful in terms of generating strong shareholder returns. Since 2015, invoices purchased have increased nearly ten-fold to $1.3 billion. 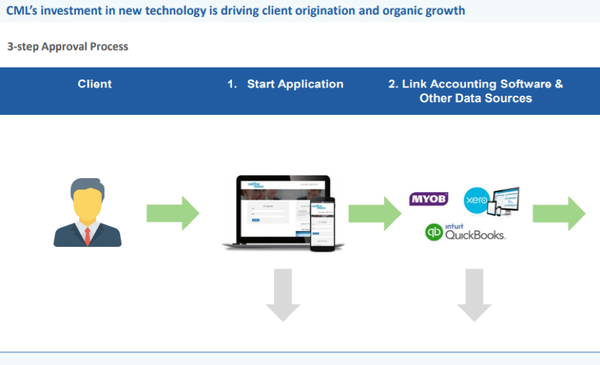 The introduction of online applications, mobile apps and links to client accounting systems has accelerated new business submissions, allowing real-time credit management and the exploration of credit approvals. The launch of new products in fiscal 2019 should provide additional revenue growth. Of particular note is the introduction of a product that targets lower risk customers, which management expects will be a high turnover operation. And despite the fact that the margins aren’t as large as those achieved in higher risk lending, bringing new clients onboard while still clipping the ticket is a move in the right direction. In a positive sign, management upgraded its fiscal 2019 EBITDA guidance in November from a range between $20 million and $21 million to in excess of $21 million, resulting in substantial year-on-year profit growth. 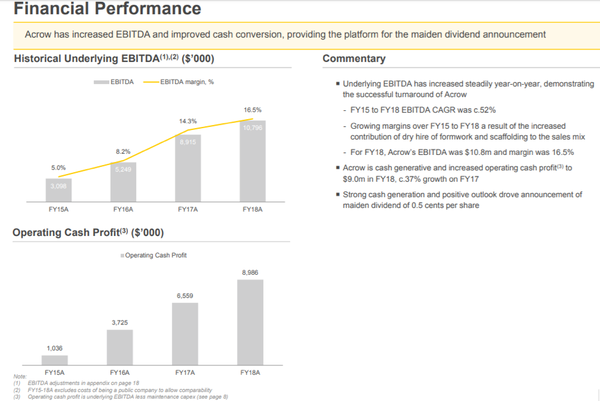 This is reflected in the significant increase in earnings per share in fiscal 2019, and the group’s PE multiple of just over 10, compared with the industry group average of nearly 20, seems conservative, particularly given the company’s growth profile and its proven track record, as illustrated below. Western Australian based CTI Logistics has been providing transport, logistics and business services since 1972, but over the last five years, the company has expanded substantially, establishing operations in most Australian capital cities and increasing the scale of its operations partly through acquisitions and warehouse developments. This has provided important top line growth, with revenues increasing from approximately $126 million in fiscal 2013 to $182 million in fiscal 2018. The company has also generated strong earnings growth with underlying net profit of 17.9% in fiscal 2018. It continues to purchase new businesses, but despite the payment of $7.5 million for acquisitions in fiscal 2018, the level of interest-bearing debt only increased marginally during the period. Management has an established record of strong capital management, consistently paying robust dividends while leaving head room for acquisitions and/or the expansion of its established businesses. With a fleet of 750 vehicles, CTI is now a major player in the transport industry, providing a range of services from small parcel delivery to interstate freight services. Having developed large warehousing facilities in Perth and along the east coast, the company is equipped to handle bulk and temperature controlled goods. CTI is also the leading player in Western Australia for residential and small to medium commercial alarms, CCTV and access control. Argonaut analyst, Ian Christie, ran the ruler across the stock last week ahead of the release of its interim result in February. Christie has a buy recommendation on the stock with a valuation of $1.35, implying upside of approximately 50% relative to the company’s recent trading range. Christie is forecasting compound annual earnings per share growth in the vicinity of 18% per year between fiscal 2018 and 2020, supporting his valuation of $1.35, and suggesting the group’s forward PE multiple of approximately 10 could be on the conservative side. Enero has a full service marketing and communications product offering with over 600 staff working in 15 cities around the world. The company operates across four key service segments — insight and strategy, creative and content, integrated communications, and public relations and digital. Key brands include The Leading Edge, Hotwire, Naked and Orchard, with the latter acquired in February 2018. In the event of economic growth slowing, companies that are diversified often have an advantage as they are not overly exposed to one-off negative trends in certain sectors. The following illustrates Enero’s diversification by industry — an important takeaway is the increased exposure to the traditionally resilient healthcare sector that has resulted from the Orchard acquisition. Fiscal 2018 was a turnaround year for Enero, while also being a period of transformation and consolidation. 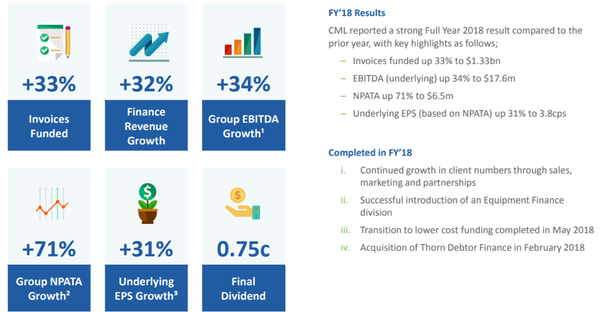 While revenue growth was moderate at 3.5%, operating EBITDA increased nearly 30% to $13.5 million and margins increased 13%, indicating that the company’s initiatives in improving the quality of earnings and achieving cost reductions was paying dividends. Enero will benefit from a full year contribution from Orchard in fiscal 2019 — one of the factors that is expected to be instrumental in delivering earnings per share growth of 34%. The company got off to a good start in fiscal 2019 with management noting that trading had been strong, in line with expectations allowing for the full year impact of the Orchard acquisition. Enero entered the new financial year with a robust balance sheet, allowing it to take advantage of further acquisition opportunities. The company had cash reserves to satisfy future commitments for incentive payments relating to businesses acquired with a net cash position of $6.7 million as at 30 June 2018. The group generated strong cash flows over the past three years, converting operating EBITDA to cash at a rate between 85% and 100%. Limited capital should be required for fixed assets in the near to medium term due to the co-location strategy undertaken in 2018. Tomorrow, we'll profile another five companies that fit the bill.